Advances in Cancer Research provides invaluable information on the exciting and fast-moving field of cancer research. This thematic volume looks at "Histone Deacetylase Inhibitors as Cancer Therapeutics." 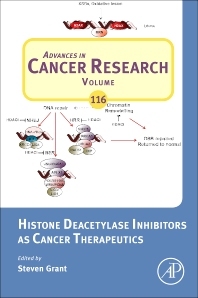 This thematic volume looks at "Histone Deacetylase Inhibitors as Cancer Therapeutics"